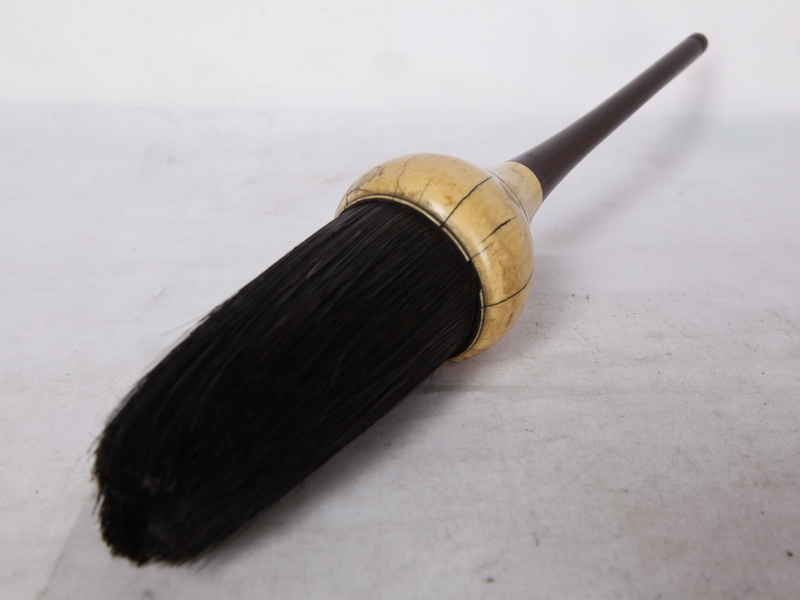 The handle of this brush is made from redwood, with an ivory joint between the handle and head. The head itself is made from blackish-brown horse mane. The handle is long and thin, becoming broader at the join with the head. The flawless modeling is intricately crafted, expressing the craftsman’s unique talent.